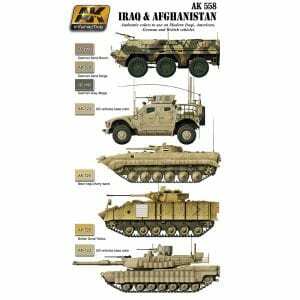 Buy our afv sets. 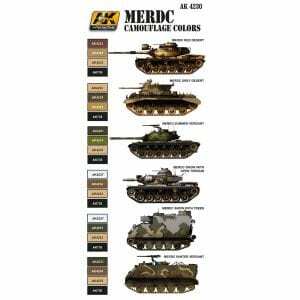 Modeling sets for your most epic battles with afv modeller war tanks. 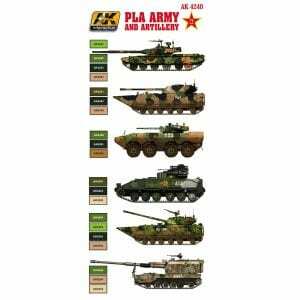 Enjoy our AFV militarys vehicles with which you can assemble your battle models. 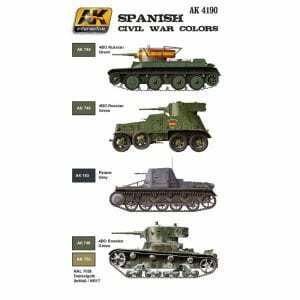 _ AK-4144 Light Yellow Green. This system has been studied and developed for accuracy by historians and experts. 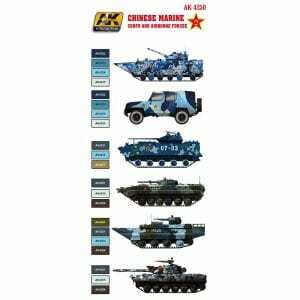 The modeler will find the colors needed to paint most of the versions of the Chinese artillery and Army vehicles, even in the camouflage of the military parade. 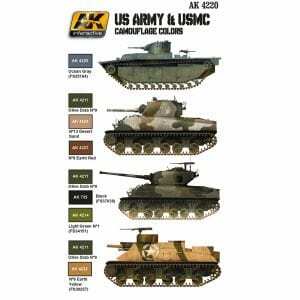 It can also be combined with the AK4250 and AK4260 games for more versions. These colors are high quality acrylics. 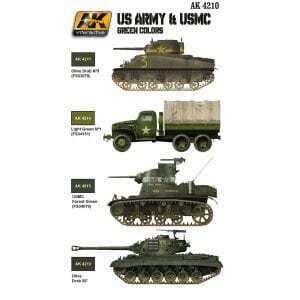 -AK713 RAL 7028 DG I Dunkelgelb. 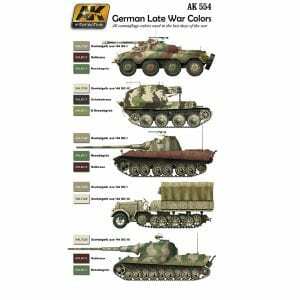 -AK714 RAL 7028 DG III Dunkelgelb. scale effect. AK acrylic paints are water soluble and can be applied by brush and airbrush; additionally, AK paints are free of odors commonly found in aggressive solvent based paints. Our AFV series paints are not only historically accurate and specially formulated with top quality components to exacting standards but take into account the effect of scale reduction. Ready to use straight from the bottle, simply shake, and the paint is ready to go. Dilution is not necessary when airbrushing AK paints. However, when painting camouflage or fine lines, add a few drops of our specially formulated thinner AK-712. Useful with all acrylic paints, AK-712 improves the performance of the paint and is vastly superior to most other available thinners. _ AK725 New Iraqui Army Sand. _ AK726 British Sand Yellow. 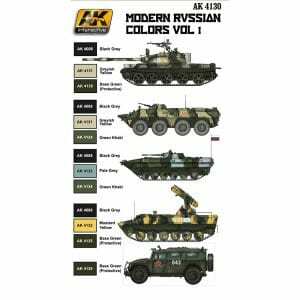 _ AK122 OIF & OEF US Vehicles base color. _ AK727 RAL 8031 F9 German sand brown. _ AK728 RAL 1039 F9 German sand beige. _ AK729 RAL 7050 F7 German grey beige. 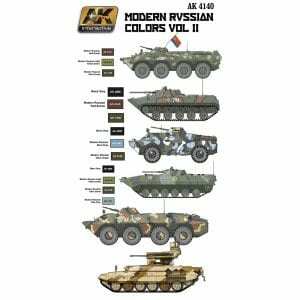 This acrylic paint set has been designed to replicate the colors used by Red Army vehicles during the 1935-1945 period. This set includes the 4BO, 7K, 6K, 3BAU and a green protective coating for the interwar period of WWII. To ensure historical accuracy of your finished model AK paints have been designed taking into account the Scale Reduction Effect*.This set also includes a Washable White paint color that mimics the field applied white wash applied by Russian soldiers when their tanks were operating in snow covered environments and needed to blend in with their surroundings, this product is made from the same formula as the product used in reality by the Soviet Army, so it can be chipped and washed away as it actually occurred in real vehicles. – AK-746 4BO Russian Green. – AK-747 6K Russian Brown. – AK-748 7K Russian Tan. 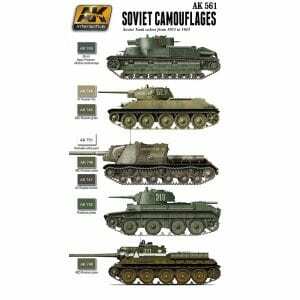 – AK-749 3B AU Basic Protector. – AK-751 Washable White Paint. This set contains 6 acrylic paints specifically designed to paint vehicles in Middle East, IDF & Lebanon colors. 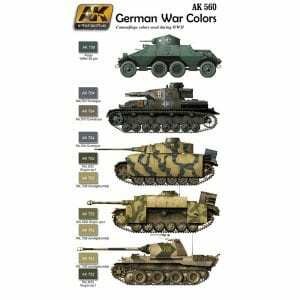 These colors have been carefully studied by historians and military experts to paint the full Israeli vehicles range of every time period. 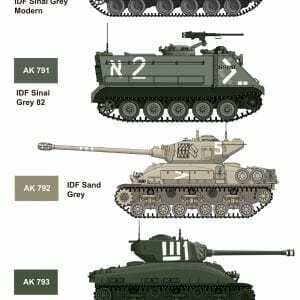 You will find, for the first time, a new color formula of Sand Grey 73 and Sinai Grey 82, exactly as they are used in real IDF vehicles, or the characteristic IDF Green from the first periods. It includes also the SLA Blue and LAF Green. 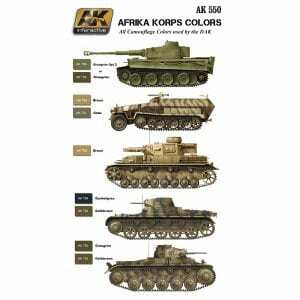 To ensure historical accuracy AK paints have been designed taking into account the Scale Reduction Effect*. – AK-790 IDF Sinai Grey Modern. – AK-791 IDF Sinai Grey 82. – AK-792 IDF Sand Grey 73.